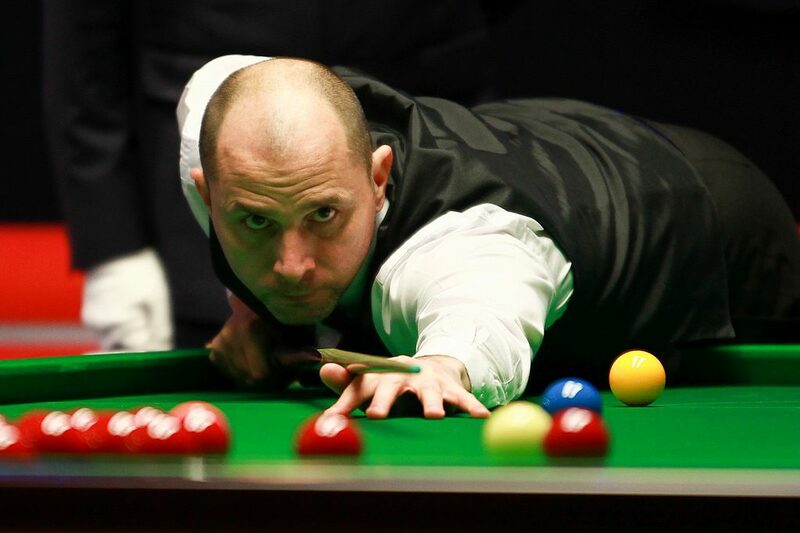 Joe, it has been a strong campaign for you given your European Masters performance in Belgium and your run to the quarter-finals of the UK Championship. How would you assess how things have gone? Yes it has been a steady season with a few little highs. I’ve just been a lot more consistent. That is partly due to the fact I have had a table put in at my house. The year previously I just hadn’t practised enough and this has helped. I had lost a bit of enthusiasm for snooker. I had become a part time player, in terms of my work outside of the events. It was a bit of a vicious circle. It takes about 45 minutes to get to my club and I would often decide not to bother. I would then perform below average at events and that dampened my mood further, so I practised even less. I got my table in March last year and since then it has given a bit of consistency to my game. When I play to the level I have done at times this season I know I can push on to the deep stages of events. It was a great run to the final of the European Masters, but having gone into the final as the favourite was the defeat a difficult one to get over? It was and it did take me a little bit of time. I think my results suffered in the immediate aftermath. No matter who I was facing in the final it would have been disappointing to lose. I think this was the first final I have ever been in where I was a strong favourite. It was Jimmy’s maiden final and I know what that feeling is like. I felt that the start of the match was really important. I put myself under so much pressure at the beginning of the game because I thought I could be almost home and dry with a strong start. That mental approach backfired. I actually got off to the worst possible start and went 5-0 down. That is hard to come back from. I should have just gone out and played as I normally would. I have to give a lot of credit to Jimmy, he played well and deserved to win. I played some good stuff in the evening and he dealt with it. He was very good. If I had played better in the afternoon then who knows what could have happened. It was the fact that I left myself with so much to do and it was all my own wrongdoing. You did some punditry work for ITV last season. How much did you enjoy that experience and is that something you will look to do more of? I really enjoyed it, perhaps a bit too much as I should still be concentrating on playing. I have quite a bit of my playing career ahead of me. If I do get an opportunity for more of that, once my career is done, then it would be something I’d jump at. I know a lot of players say they want to get as far away from snooker as possible once they have retired. I’m not like that. I watch a lot of snooker and really enjoy it. It can be quite hard being a pundit while you are still playing, but I always give my honest opinion. I do think it is a lot easier to be more critical when you are done. When you look at someone like Stephen Hendry, nobody doubts his record but I’m sure if he was still playing he wouldn’t be as critical as he is. It is very easy to forget how hard the sport is once you have stopped playing. If I get the job one day when I’m not playing anymore, maybe I’ll turn into a grump! I’d like to think I’ll always keep my feet on the ground and remember how hard snooker is. You never know how people will react and you don’t know how you are coming across. I like to think I know the sport and understand it. I’ve been involved in quite a few eras of snooker. I’m only 44, but when I started out the way the game was played was very different. I’ve come through the ages and I think I play a bit of a mix of the modern way and the older way. I feel I’m in a good position to analyse and commentate on today’s snooker. 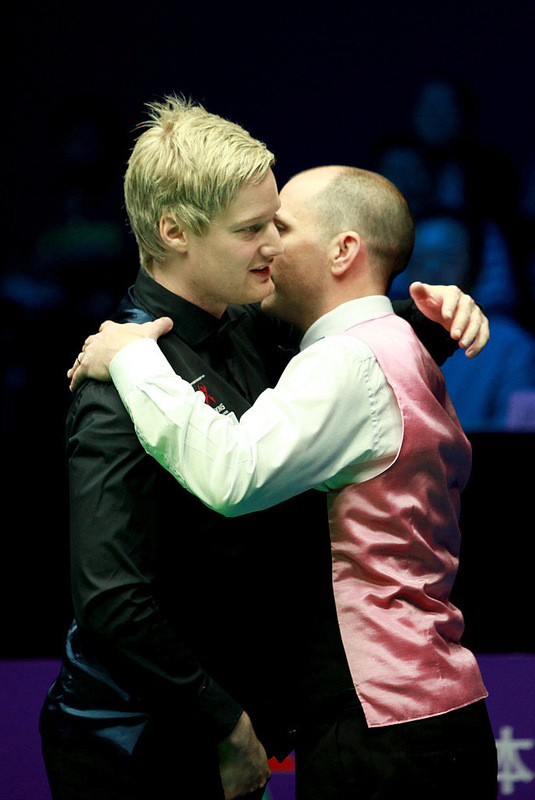 When interviewed by the BBC at the Masters, Neil Robertson commented on what a positive impact you have had on his career. He decided to settle in Cambridge after moving from Australia and you have practised at the same club for many years. How nice was it to hear Neil say that? I didn’t actually see the interview but I’ve been told about it. It is very nice of Neil to say that and I take a lot of pleasure from it. I don’t need him to say those things on television but the fact he has chosen to do so is nice. Deep down I do think I’ve had a positive impact on his game and I am proud of that. Neil winning tournaments is almost a routine thing now because he does it so often. In the early days his wins did make me proud. I went up to Sheffield when he won the World Championship final in 2010 and I spent the whole week with him, bar one game, when he won the Masters in 2012. I don’t take any credit for those titles, he would have won them whether he came to Cambridge or not. He was always destined to be a great player. However, when you see someone go from a raw talented potter, to the best player in the world it does fill you with a little bit of pride. You have a position on the Players Committee alongside the likes of Shaun Murphy and Mark Allen. What do you feel you bring to the commission and how important is it as a means of giving a voice to the players? I’d like to think I get on with a high percentage of the pros and I’m quite approachable, so I feel I’m a good go between for the tour and the commission. I’m also quite opinionated. I feel I have the sport’s best interests at heart and I never try to come up with ideas that benefit me personally. Having something like this is really good and it is definitely growing in stature. We recently had a meeting with Barry Hearn and he really saw the benefit of some of the things we have come up with. The majority of the time if the suggestions work out financially they end up being implemented.